Four aspirants for the National Chairmanship position of the Peoples Democratic Party have met in Abuja ahead of the December 9 National Convention. 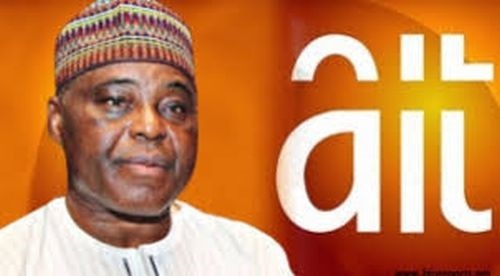 Some aspirants for the office of National Chairman of the Peoples Democratic Party (PDP) on Tuesday night, boycotted a meeting called by one of them, Raymond Dokpesi. The meeting, which was expected to serve as an avenue to rub minds on the challenges facing the party and other sundry issues was only attended by a former governorship candidate in Lagos State, Jimi Agbaje; a former Governor of Ogun State, Gbenga Daniel, and a former Minister of Sports and Special Duties, Prof. Taoheed Adedoja. Former PDP acting National Chairman, Uche Secondus, a former Minister of Education and one-time Nigerian Ambassador to Germany, Prof. Tunde Adeniran, a former PDP Deputy National Chairman, Bode George, and a former Governor of Oyo State, Rashidi Ladoja, were conspicuously absent. All those who spoke did not give details of what actually transpired at the meeting beyond talking of taking the PDP to another height. This was amidst speculations that some of the contenders wanted a truce to enable one of them emerge victorious; a move which other contenders were not favourably disposed to. Addressing newsmen at the end of the meeting which lasted for over two hours, Gbenga Daniel said, “I think what we have demonstrated here is that we are from the same party, of the same ideology and all of us are eminently qualified. “It is indeed a contest for the chairmanship of the party; it is not a do or die kind of thing. It is a family affair. We want a peaceful and well organised convention that would demonstrate to the people of this country that the party has bounced back. “We want a well organised convention where everybody would be dancing as we elect our new crop of executives. It is at this point of rebuilding the party that we are planning to have another congress. “Yes, of course it is incumbent on all the participants to ensure that we have a successful congress,” he said. On his part, Dokpesi said, “We believe that PDP is capable of winning the presidential election in 2019 and winning in many states. There is no doubt about that.